2018 Property Tax Bills are now available! All Property Tax Bills are now due. Don't wait until December to pay your tax bill. We have other ways to pay your taxes before they’re late! The last day to pay your 2018 Property Tax Bill before interest begins accruing is January 7th. Today is the last day to pay your 2018 Property Tax Bill before interest begins accruing. All unpaid 2018 Property Tax Bills are now delinquent. Interest will be added to unpaid property tax bills. Would you like to begin prepaying your 2019 tax bill? The Tax Collections Department can create an estimated 2019 tax bill for you. Interested? Please call Tax Collections at 828-250-4910 to learn more. Last day to finish 2018 payments in a casual payment plan! Last day to finish 2018 Preauthorized Debit Payment Plans! Buncombe County Tax Lookup allows you view tax information, file for appeals and exemptions, and allows you to pay your tax bill online and access GIS & ROD tools. Buncombe County Tax has partnered with Forte™ to allow citizens to pay their tax bills online. 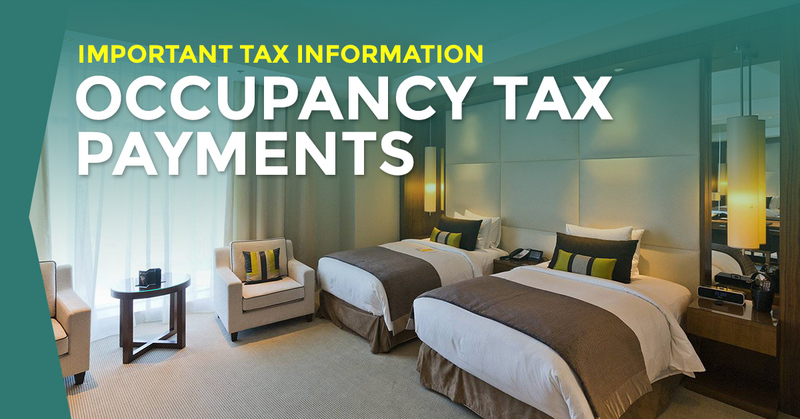 Register or log in to pay Occupancy Tax online. PIN History is a GIS tool to look up past and present information about property in Buncombe County. Search and View archived Assessor Books and Tax Scrolls in Adobe Portable Document Format (PDF). Start your tax appeal online at tax.buncombecounty.org! Start your Real Property Tax Exemption Request here—Have your PIN handy, which can be found in the upper left corner of your new assessment notice. Business Listing Extension Requests may be granted for "good cause shown". To begin, search for your business and click on "Request Extension" in the Status column. We strive to provide as much public information about tax assessments and collections as possible. The most popular tax documents, at your fingertips. Sort and view all available tax documents in Document Central. Answers to commonly asked tax questions. Personal property includes unlicensed motor vehicles, boats, campers, permanently tagged trailers, single and double-wide manufactured homes not on a permanent foundation and airplanes. Anyone who owns any of these must list them with the tax department during the month of January each year. (Manufactured homes located on land owned by the owner of the mobile home will be considered real property.) If a property tax listing form is not received in the mail, please call the tax department to request one, (828) 250-4910. Please note: A 10% percent late list penalty will be charged for failure to list the required property with the tax department before the end of January. North Carolina now combines your vehicle registration fees and property taxes into one renewal notice. This process is known as Tax & Tag Together. About sixty (60) days before your vehicle registration expires the North Carolina DMV will send a renewal notice to the address on record. This notice lists both vehicle registration fees and property taxes due. Business personal property includes but is not limited to machinery, computer/office equipment, airplanes, unlicensed vehicles, leasehold improvements, leased equipment, supplies, furniture, fixtures, farm equipment, etc. Listing must be submitted during the month of January of each year to avoid a 10% percent late listing penalty. An extension may be granted until March 15th if the request is made in writing and is postmarked by January 31st. Listing forms are mailed to taxpayers in early January each year. 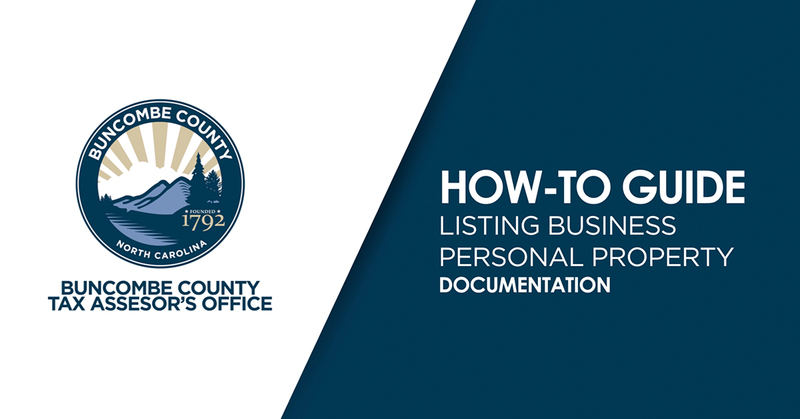 If you have business personal property but did not receive a listing form please contact the tax department at (828) 250-4930. Real property includes land and structures or improvements on the land, this includes doublewide manufactured homes on a permanent foundation and other manufactured homes located on land owned by the owner of the manufactured home. 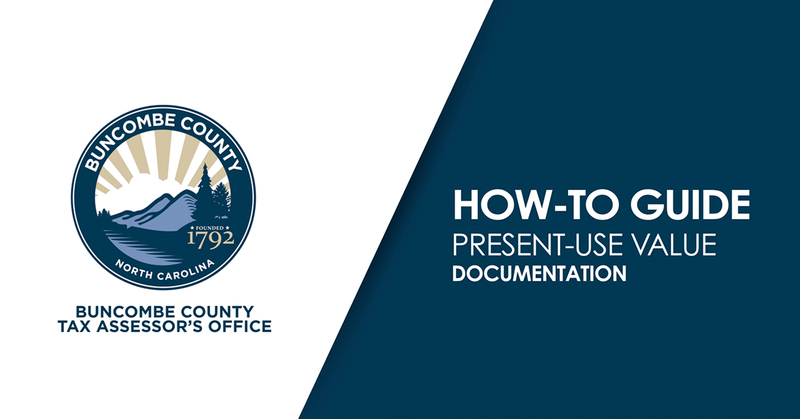 Buncombe County employs a system of automatically listing real property by coordinating efforts with other county departments such as Planning, Permits and Inspections, Land Records and Register of Deeds. The tax department will attempt to automatically list all improvements for which a permit was granted. Assurance of any new construction being listed is ultimately the responsibility of the taxpayer and must be done before the end of January each year. Personal property and real property are valued by using different methods. Personal property such as some manufactured homes, campers, boats and trailers are valued according to size, model and year. The value is assessed as of January 1st each year. These properties must be listed each January by the owner. If you do not receive a listing form in early January, please call 250-4920 or contact the Tax Department to request a form. The Property Tax Division of the Department of Revenue annually adopts a schedule of values, standards and rules to be used in the valuation of motor vehicles to ensure equitable statewide valuations. Ownership, location and taxability of a registered motor vehicle is determined annually as of the date on which the vehicle's current registration is renewed. Value for a registered motor vehicle is determined based on the date the registration expires. For registrations expiring January 1 through August 31, the value is determined as of January 1 of the current year. For registrations expiring September 1 through December 31, the value is determined as of January 1 of the following year. Business personal property, such as computer/office equipment, machinery, farm equipment, etc. is valued on a cost basis using "Trending Schedules" developed by the NC Department of Revenue. Trending schedules represent current, new replacement cost less depreciation. The sales comparison or market approach. This approach compares the selling prices of similar properties and places a value on those properties based on actual selling prices. This approach is the most accurate when there are a number of sales occurring. Cost approach. Values are determined on what it would cost to replace a similar property at current building costs minus depreciation based on a variety of factors and the age of the property. This approach is best used for unique properties or newer construction. Income approach. This approach is used primarily on income producing properties such as apartment buildings or business offices. Revenues are analyzed to determine a net operating income. This income is then capitalized to determine a value for the property. What is reappraisal and why have it? Reappraisal is a systematic, in depth process using a computer aided mass appraisal system to reappraise or reassess all real property in the County to the current market value. (Appraised value and assessed value can be used interchangeably in North Carolina because property is required to be assessed at 100% percent of its appraised value.) The real estate market is one of constant change caused by the freedom we have to buy and sell property. This change can vary greatly depending on a property's size, type and location. This can create an inequitable situation in the level of assessment among owners of property and inequity among differing types of property. The longer this situation exists, the more unjust it becomes. The end result is an unfair tax burden on those properties which have an assessed value close to the actual market value compared to those properties whose assessed value is well below market value. The relationship between assessed, or tax value, and market value is called the sales/assessment ratio. Additionally, utility companies are taxed based on the overall ratio between assessed value and market value. If the countywide sales/assessment ratio is below is below 90% percent, then the utilities are taxed at only 90% percent of value rather than 100% percent. The resulting lost revenues from the utility companies shifts more of the tax burden to local home and business owners. Ultimately, the purpose of reappraisal is to have each property carry its appropriate share of the expense to provide County services to its citizens while allowing the lowest possible tax rate. A countywide reappraisal is an enormous and complex task. We are fortunate to have a qualified and knowledgeable in-house appraisal team in Buncombe County. They are all residents of the local area who are very familiar with property in the County. They have made every effort to consider all the many factors involved in determining property values through the completion of the reappraisal process. Field inspections are conducted, sales files are developed and analyzed and market trends continually monitored. Contacts are made with property owners, local realtors, building contractors, building suppliers and home lending institutions, all for the purpose of being as knowledgeable as possible about property values. What if I disagree with my reappraisal? Of course, no matter how thorough and fair a reappraisal may be, there are still instances when only the property owner has all the information necessary for an accurate appraisal. That is why there is a relatively easy appeal process. First, an "informal appeal form" is provided for your initial appeal. The form must be completed and returned to the Tax Department prior to April of the year in which the appeal is being made. Please include any documentation, i.e. photographs, sales records, appraisals, you may have. We will thoroughly review and consider your appeal. If you have marked on the appeal form that you want a face to face meeting, we will contact you to schedule a time convenient for you. Remember, you can appeal only property values, not property taxes, through this process. Adjustments to values will be made based on a reanalysis of appealed property. Once you are notified of the results of the reanalysis, you have the option of accepting the value or appealing further. The next step in the appeal process is to appeal to the "Board of Equalization and Review." The Board of Equalization and Review is a special board appointed by the County Commissioners and consists of long time Buncombe County residents who have a solid real estate or business background and are quite familiar with local real estate values. If you are still dissatisfied with your property values, the next step is to appeal to the North Carolina Property Tax Commission in Raleigh. Very rarely is this step required. From the Property Tax Commission, you may appeal to the North Carolina Court of Appeals and finally to the North Carolina Supreme Court. 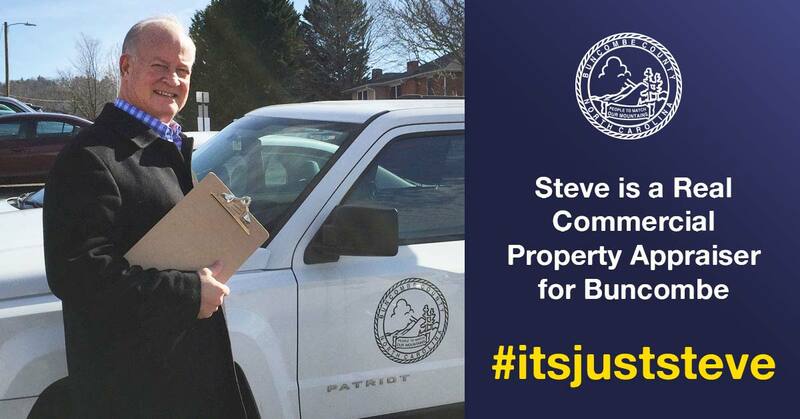 Again, these appeals are very rare since every effort is made by the Tax Department to resolve our issues locally among people who are most familiar with property values in Buncombe County. Are there any exemptions or special programs? 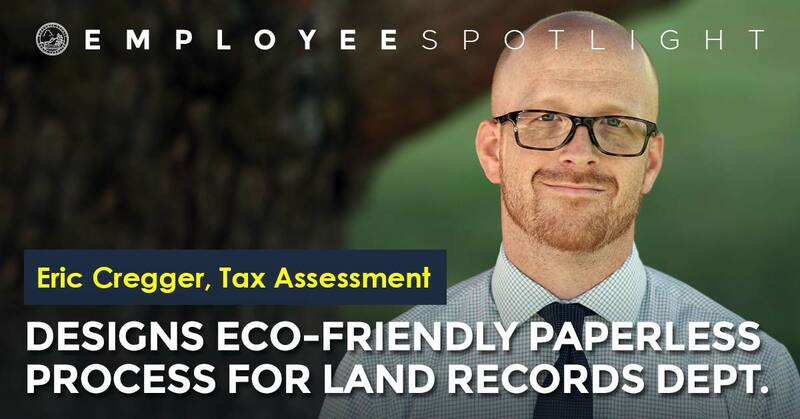 Yes, under certain circumstances, you may be eligible for reduced taxes or participation in other special programs if you meet the requirements specified in the North Carolina General Statutes. A brief description and the basic requirements for each are described under this section. North Carolina excludes from property taxes the greater of twenty-five thousand dollars ($25,000) or fifty percent (50%) of the appraised value of a permanent residence owned and occupied by a qualifying owner. Claimant must be a North Carolina resident, 65 years of age or totally & permanently disabled (physician's statement required), and has a combined income of both spouses for the preceding year not to exceed $29,500. Anyone who meets these requirements can download an Exclusion Form or request one by calling (828) 250-4920. Applications should be filed prior to June 1 to insure the exclusion is granted for the current tax year. Property used for religious purposes. Property set aside for burial. Property used for educational, scientific or literary purposes. Property used for charitable purposes. To apply for an exemption, an application must be filed with the Tax Department during the regular listing period, which is the month of January. To receive an application or learn more about exempt property, please call (828) 250-4940 or contact the Tax Department. Agriculture: Agricultural land consisting of one or more tracts, one of which consists of at least 10 acres that is in actual agricultural production and that, for the 3 (3) years preceding January 1 of the year for which the benefit is claimed, has produced an average gross income of at least $1,000. Horticulture: Land consisting of one or more tracts, one of which consists of at least five (5) acres that is in actual production and that, for the three (3) years preceding January of the year the benefit is claimed, has either produced an average gross income of $1,000 or been used to produce evergreens intended for use as Christmas trees and meet gross income requirements. Forestry: Forestland consisting of one or more tracts, one of which consists of at least 20 acres that is in actual production forestry products. A forestry management plan is required for acceptance into this program. To apply for the Present-Use Program, or learn more about eligibility requirements, call 250-4940 or contact the Tax Department. What type of property do I have to list? All taxable property must be listed. See the Taxable Property section at the top of this page to find out what property is taxable. The month of January is the annual required listing period. Anyone who does not list their taxable personal property (see "What is Taxable Property" section) by January 31st will be charged a 10% percent late list fee. January 1 is the established date for determining property ownership. All taxable property is valued as of January 1 of the current year. Everyone pays property taxes for the whole year based on what they own on January 1. With the exception of registered motor vehicles and trailers which are prorated when sold, taxes are not prorated or exempt because you relocate within North Carolina or dispose of the property anytime after January 1. The full amount of taxes is due for the entire year based on ownership and property value as of January 1 of the current year. But, you only list in one county each year. If you move to another county in North Carolina after January 1, you will not file a "Property Tax Listing" form in that county until the following year. Tax notices (bills) are mailed in early August each year and are due on September 1st. There is, however, a four month grace period that allows you to pay your taxes up to the following January 5 before interest is added. In effect, January 5th is the deadline for paying property taxes. The owner of the property as of January 1st of the current tax year is responsible for taxes for the entire year, unless the property changes ownership during the tax year. If there is a change of ownership, the owner of record on the following January 6 or date interest begins and any subsequent owner will be held liable for any unpaid real estate taxes. The Tax Department does not prorate real estate taxes; this should be handled between the buyer and seller at the time of the sale. The Tax Department will attempt to send the bill to the January 1 owner of record as well as any subsequent owners. Tax liens against the property will stay until the taxes are paid in full. About sixty (60) days before your vehicle registration expires the North Carolina DMV will send a renewal notice to the address on record. This notice lists both vehicle registration fees and property taxes due. Your annual vehicle inspection, registration renewal and vehicle property tax will be due the same month each year. Both the annual tax renewal and property tax will be paid to the North Carolina Department of Motor Vehicles. I don't own this vehicle any longer. Why did I get a bill? You are billed for the vehicle you owned on the date of registration. If you have purchased a new vehicle and transferred your tags from the old vehicle to the new one, then the tax on the old vehicle would be due in full. You would not receive a tax bill on the new vehicle until you renew your registration on the old tag. However, if you sold your vehicle AND turned in the tag to the DMV, you should send a copy of the receipt from DMV to the Tax Department within one (1) year in order to qualify for a release or refund. DMV has blocked my registration renewal. What should I do? North Carolina DMV collects both vehicle registration fees and property taxes. If you have questions regarding your vehicle registration contact the DMV at (919) 814-1779 or visit https://www.ncdot.gov/dmv/title-registration/registration/Pages/tag-tax-together.aspx. What is the "Tax & Tag" System? Licensed Motor Vehicles and Trailers are listed automatically when you register or renew your motor vehicle or trailer registration through the North Carolina Department of Motor Vehicles. Each month the Department Of Motor Vehicles sends to each County Tax Office a list of every person in the county who has registered a motor vehicle or a trailer. A licensed trailer includes any trailer that requires a registration, such as boat trailers, animal trailers, utility trailers, camping trailers and motor homes. Taxpayers receive a separate tax bill for each licensed motor vehicle or trailer about three (3) months after it is registered. How do I get a receipt for the property taxes paid to the DMV? Once logged in, you will see "Correspondence" on the right side of the window. Under "Correspondence" you will be able to select the year for Vehicle Property Tax Fee paid or as pictured VEH PROP TAX FEE. Select the year desired and all vehicles paid for in that year will pop up with the total taxes paid for each vehicle in that calendar year. My value is too high, how do I appeal? If recently purchased from a dealer, a copy of the bill of sale. One appraisal stating the average retail value as of January 1st of the taxing year. This appraisal must be from a licensed vehicle dealer. You need one copy of the Vehicle Appraisal Form for each vehicle that you are appealing. Mileage reading - odometer statement from the most recent vehicle inspection or vehicle service receipt. If wrecked, bring an appraisal indicating extent of damage and cost to repair and when the accident took place. How and where can I pay my taxes? The most convenient way to pay your taxes is to use the self addressed envelope you received with your bill. Also, you may pay your bills in person at the Tax Department on 94 Coxe Avenue or you can use the Tax Bill Drop Box. Our convenient payment drop boxes are located at 35 Woodfin Street and 94 Coxe Avenue. There will be signs to direct you. *For more information please visit Property Tax Collections. Can I pay by credit card on the internet? *Please visit Property Tax Collections. What is the Mailing Address for the Tax Department? I need help with electronic billing or electronic Tax Department documents, who do I contact? The Tax Department contracts with a third party, SouthData, to maintain the electronic billing and documents process. Contact SouthData by email, or by phone, (800) 549-4722, extension 858 or 854. SouthData will be happy to assist you with registering for electronic documents or retrieving electronic documents. Unfamiliar tax terminology can stump us all. Here's a glossary of some commonly-used terms throughout Buncombe Tax. Ad valorem is derived from the Latin ad valentiam, meaning “according to the value.” An ad valorem tax is a property tax based on the assessed value of the property, which may not be equivalent to its market value. Ad valorem tax is used for real estate, personal property and motor vehicles. Also known as “market value.” This is the value determined by the Buncombe County Tax Department before any exemptions or deferrals are applied. Appraised value is the most probable price the property would sell for in the open market between a willing seller and an able buyer. The dollar value assigned to a property for the purpose of measuring applicable taxes. Assessed value equals the appraisal or fair market value of a property less the deferred or exempt value. Assessed value is multiplied by the tax rate to calculate the amount of property taxes due. The price that property would sell for in the open market between a willing seller and a financially able buyer, neither being under any compulsion to buy or to sell and both having reasonable knowledge of the characteristics of the property. A land of any size in one ownership. A period of time used for accounting purposes and preparing financial statements. Buncombe County’s fiscal year is July 1 to June 30. Property that is not real property and can be moved. Personal property includes, but is not limited to, manufactured homes, boats, motorhomes, jet skis, unregistered motor vehicles, trailers, airplanes, household furnishings in income producing residential rental property, etc. 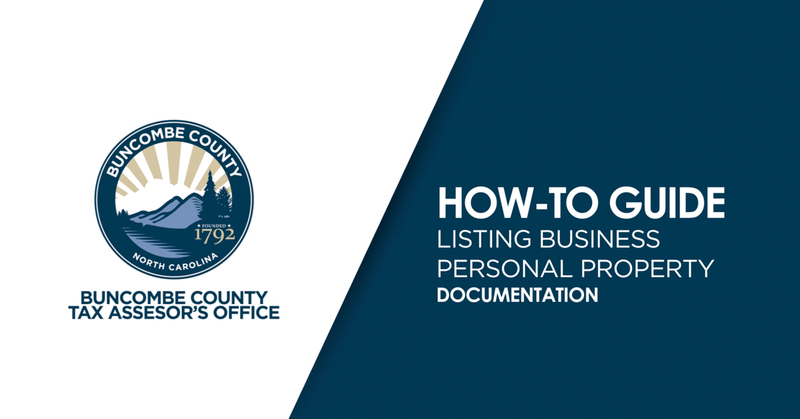 It is the responsibility of the owner to list personal property with the Buncombe County Tax Department in January of each year to avoid incurring a penalty for late listing. The process of determining the value of real property for property tax purposes. A reappraisal is required by North Carolina State law at least every eight years and is completed every four years in Buncombe County. Each is an assessment district where a governmental unit has the authority to levy taxes. This includes Buncombe County municipalities, and fire and school districts. Improvements on land refers to projects or structures increasing the value of the property. We most commonly consider buildings and other structures to be improvements, 16 also included are driveways, pools, fencing, etc.